Rhythm often means, movement marked by the regulated succession of strong and weak elements, or of opposites that can apply to time, and a wide variety of cyclical natural phenomena. In the performing Arts however, rhythm is the timing of events on a human scale, like listening to a top notch orchestra when they're at the height of their musical game. This common language of pattern that unites rhythm with geometry is never more apparent than when you're watching Kevin Lucas play marimba,doing what he does best as a 'marimba and World Drum Specialist.' Music is mathematics and Lucas happily transposes equation, calculus and dimension straight to your ears. A marimba is a percussion instrument consisting of a set of wooden bars struck with mallets to produce musical tones. Resonators suspended underneath the bars amplify their sound. Lucas generally plays the marimba using the complex 4 mallet method thus enabling him to play more notes per beat. The first thing you notice when you talk to Kevin Lucas, is his passion for music. It oozes out of every pore of his body. He lives and breathes music and his passion is even more prevalent when you experience the intensity of his live performances. 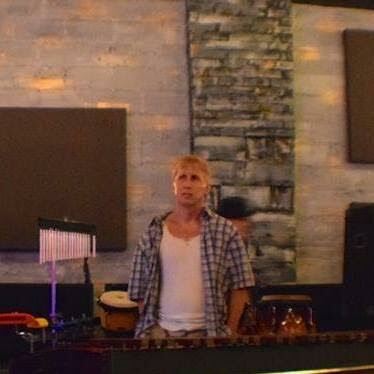 He reminds this reporter of the cartoon character "The Road Runner,"as he circles his instruments like an Indian circling a wagon train then finally pouncing on the unsuspecting marimba and with his deft touch, reducing the listener to tears by playing his instrument with such intensity and emotion. Watch Kevin Lucas as he performs "Oceans Rising,"
Kevin Lucas was born in Palos Hills, IL, a southwest suburb of Chicago with approximately 17,000 residents. He started playing marimba and vibes in Lockport High School. His love for percussion began in elementary school where he started playing in the 5th grade. After he left high school he went on to Illinois State University where he earned a bachelor's degree in "percussion performance," and then was awarded a 2nd bachelor's degree in education from Southern Illinois University at Carbondale. 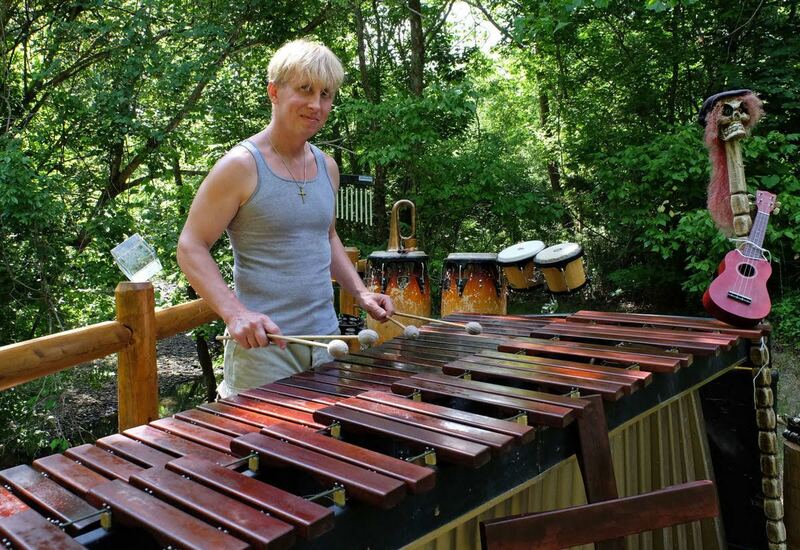 Kevin Lucas then earned a prestigious master's degree in "percussion performance" from Southern Illinois University at Carbondale. From 1992-1994 he was a member of the Madison Scouts Drum and Bugle Corps. He won the Drum Corps Midwest solo individuals competition in 1994. As a concert hall performer, Lucas won both the Illinois State University and Southern Illinois University classical concerto competitions and performed as a soloist with both orchestras. He defeated world class pianists, cellists, violinists, and wind players for these wins in 1994 at Illinois State University and again at Southern Illinois University in 1998. In 1997, he played 2nd in the USA at the College level in the Music Teachers National Association Collegiate Competition,defeating some contestants he'd competed against who were national champions from China and Russia. In 2015 Kevin Lucas was a Finalist in the John Lennon Songwriting Contest, winning 3 Silver Medals in the Global Music Awards and having 3 songs become semi Finalists in the International Songwriting Competition as well as 2 songs as finalists in 'Unsigned Only." In 2016 he won a Silver Medal in the Global Music Awards, was a Global Peace Song Awards Finalist, won the American Songwriting Awards (Adult Alternative) and had 5 songs placed as finalists in the American Songwriting Awards. In the following video of Greensleeves Kevin Lucas takes you on an intense emotional journey through orchestral, tribal, and jazz styles. It features Rocio Morron on violin, Mel Goot on piano, Paul Speer on guitar, and of course Kevin Lucas on,marimba, and percussion! It was mixed and mastered by Vanil Veigas at Raveolution Studios. 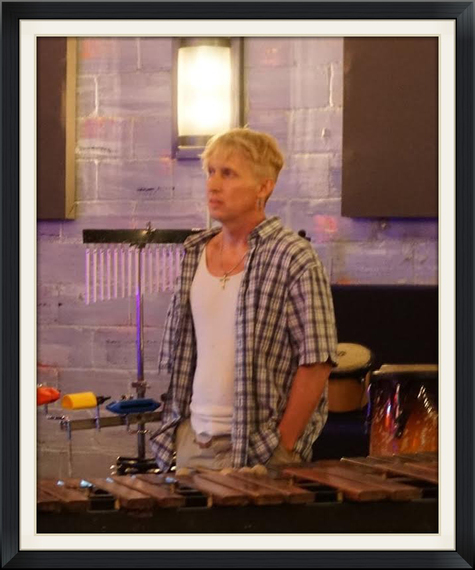 Kevin Lucas, an accomplished composer and music producer, is also an award-winning percussionist who specializes in marimba and vibraphone. While he has many accolades to his credit, including a 2003 performance with 1980's legend, Christopher Cross (SAILING) on a Mississippi River Barge in Cape Girardeau, MO, what is most important to him is that he uses the power of music to inspire and communicate. 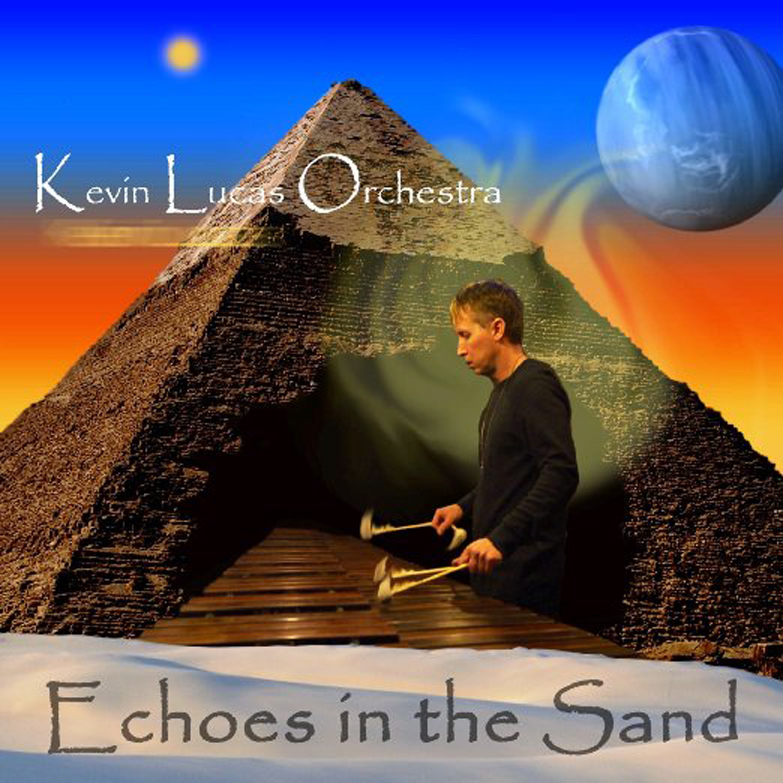 Kevin has many years of experience with percussion and music in general, however "Echoes in the Sand" marked a turning point for him. It was his collaboration on this recording with Grammy Winning producer and composer and owner of Raveolution Studios in Bangalore, India, Ricky Kej, that helped take Kevin's music to a whole new level. I found myself being transported through the gamut of my emotions as I listened to Echoes in the Sand . The feelings I had were emotional, complex, and deeply profound. First let me say, Echoes in the Sand is a brilliant album with amazing musical contributions by Wouter Kellerman,Tholsi Pillay, Paul Speer, Ricky Kej, Manoj George, Neecia Marjolly, Varsha Kej, and Alexis D'Souza. The glue that ultimately holds this album together is the extraordinary Vibraphone, Marimba and percussion work of Kevin Lucas, who is in my opinion the most talented percussionist since Lionel Hampton, Ginger Baker and Tito Puente. A Middle Eastern influence is heard on a track called "Babylon," which features the beautiful flute playing of South African musician Wouter Kellerman. Echoes in the Sand has a lot of world music influences too, such as the exotic flavor of both Indian and African rhythms . But in addition to the brilliant playing of Kevin Lucas and multitude of musicians involved, the recording is top notch. "The collaboration of percussion maestro Kevin Lucas with Raveolution Studios has conjured a uniquely exotic sonic blend that will reward listeners with an original and evocative musical experience." Paul Speer plays "impressive guitar" on "Little Man" with powerful vocals from Alexis D'Souza that succeeded in wrenching the heart from my chest. Congratulations to Ricky Kej, for composing such beautiful music and lyrics. "Oceans Rising" begins with the haunting flute of Manoj George and is overtaken by his equally expressive and emotional violin. But always...and happily there is Kevin Lucas, confident and poised, on vibraphone, marimbas and percussion driving a frenetic yet seamless rhythm, like waves crashing on a beach. Influenced throughout his career Lucas leans comfortably on musical phrasing from his musical mentors, Pink Floyd, U2, and marimba player Keiko Abe. Lucas combines these influences seamlessly with Eastern and Indian rhythms, and with his "in tune with nature" philosophy, and has stretched his musical boundaries farther than the farthest horizon." Kevin Lucas, composer, music producer and percussionist is working on a music video called 'Africa' that will be released in the fall of 2016. On August 22 he begins his beloved annual Southern Illinois nursing home tour 'Operation Give Hope' as he graciously brings his music to the elderly. In September read Tim and Laura's column in The Huffington Post about Laurie Berkner and her stupendous career writing music for kids, and listen to tracks from her much anticipated new album Superhero.